RWBY Volume 5 DVD/Blu-Ray Release Date?! In reply to barrytoddclark Oh no, I'm not a spokesperson for Rooster Teeth. I hope to work for them one day, but I'm not there now. I'm just following the trends from volumes 4 and 5 of how the DVD/Blu-rays have been released in June along with the soundtrack. In reply to barrytoddclark I don't fully understand what you mean, but RWBY volume 6 is confirmed to have at least 13 episodes. 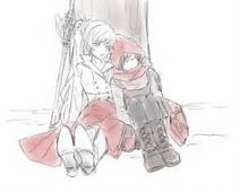 In reply to barrytoddclark If I read the sentence right (let me know if I didn't), volume 6 is not the last season of RWBY. And there are confirmed 14 episodes. In reply to barrytoddclark There will probably(assuming roosterteeth doesn’t go bankrupt) I think there will be 8-10 seasons. In reply to barrytoddclark I think it was on Netfix with the first season a while ago, but I love the idea! 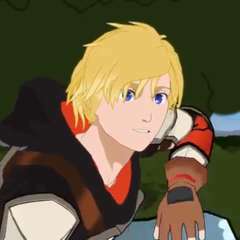 In reply to barrytoddclark in rwby S6 E3 we get Salem’s backstory, in E4 I predict team RWBY will yell at Oz a bunch, start moving, and we’ll get a bit more of what cinders up to. In E5 I think we will have mostly a traveling episode with a bit of Cinder for flavor and a fight with some Grimm for eye candy. Beyond that I have no idea besides a question for Gin(Jin or Ginn) and some Cinder with possibly some stuff thrown in for shippers to squeal about. In reply to barrytoddclark It used to be on Netflix with volumes 1 and 2 but it was eventually taken off. Somebody should rename this thread so it makes more sense. The Netflix Origional Godzilla movies are pretty meh. In reply to barrytoddclark Why are they making another transformers movie?